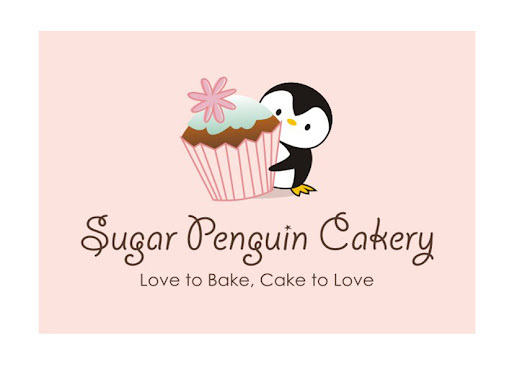 Sugar Penguin Cakery: my first little sugar people! my first little sugar people! I have problems when it comes to making little sugar people. Not only they are hard to make, I don't know how to make them to have "characters." I don't want them to end up creepy looking or just plain weird. 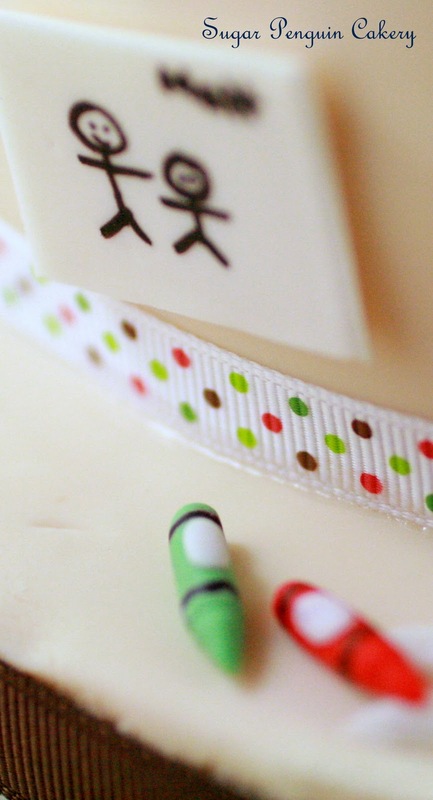 For the longest time I tried to avoid in making little sugar people (and Hello Kitty for that reason). But a couple weeks ago, I answered a challenge from the biggest ambassador and supporter of Sugar Penguin Cakery, my good friend, WP. He wanted to make a cake for his special person in his life and he wanted to have a classroom scene as she is going to teach in kindergarten later. Immediately I was thinking of A as the teacher, reading a book during circle time to her students. WP wanted me to include A's gray bunny in the classroom too, so I added the little gray bunny to the classroom scene. Oh did I mention that WP had to take the cake on a flight, all the way to Ottawa? I had to secure and "glued" everything! The only snag was that the "chalkboard" was a little too tall for the cake box which posed an issue of WP to carry it all the way to Ottawa. My husband, came up with genius idea of making an opening on top of the chalkboard and added a covered "dome" using one of the hot wheels' packaging... and voila! All is good! The design that I had in my head was the classroom scene, during circle time, then added a little desk for A, with of course, a red apple, a chalkboard, books, and crayons. My oldest son was the one who got so excited with the tiny crayons. I still didn't know what to do at that point for the all around design until I dropped my son off at his preschool. I saw lots of art works did by the students and posted on the board. It gave me an inspirations of making tiny arts to wrap around the cake. Then I wrote WP's name and A's name as part of the students' art works! I hope they could see that part. My work was paid off until A left a wonderful message the next day on my cake page and there's this candid picture of A had a BIG smile on her face as she saw the cake for the first time. Priceless. Finally, WP, I know you don't really read blogs since you have tight day to day schedule, just wanted to let you know that you are appreciated and I am grateful. You always encourage and provide me with challenges that allowed to push myself to be a better cake artist. Thank you, my dear friend!